Please note dimensions vary since all of these chimeneas are hand made not one is the same. Dimensions are approximate. 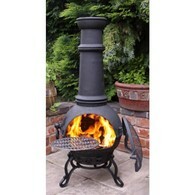 Large size chimenea standing at 110cm. 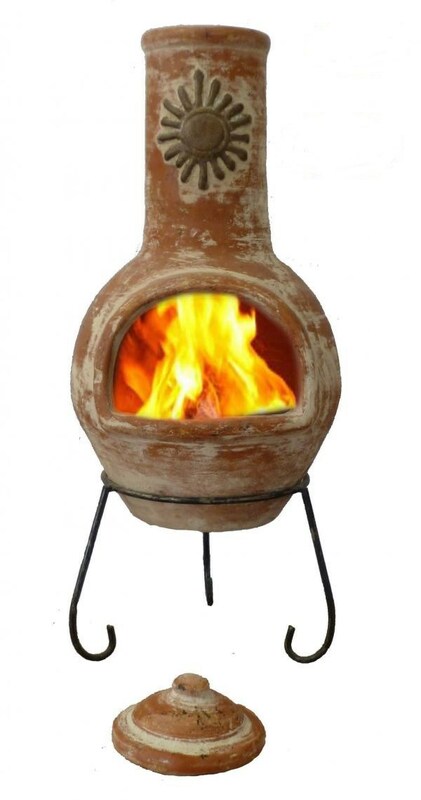 This rustic, orange chimenea is made in Mexico and made from clay. Each chimenea is hand made and hand painted and therefore each chimenea is unique, some patterns, and shapes may vary slightly due to this. This patio heater comes complete with stand and clay lid. 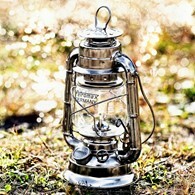 Clay heats up very quickly and can retain the heat for a very long time afterwards with no need for large roaring fires. 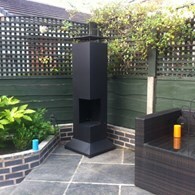 Please read our chimenea FAQ's before using your chimenea. 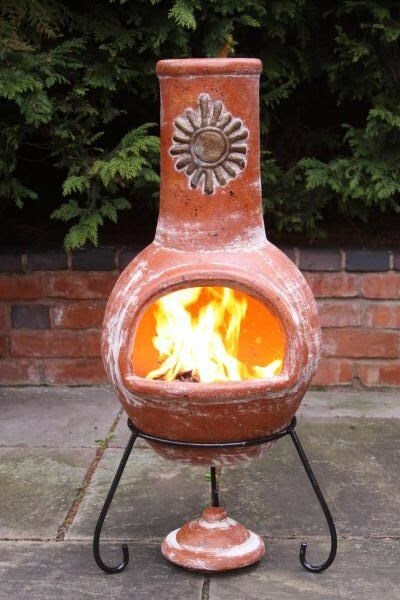 There are no reviews for Rustic Orange chimenea with Sun Motif.